Jackrabbit recommends Express Payroll for your payroll needs. Jackrabbit's export file is specifically formatted to enable import into the Express Payroll payroll system. Express Payroll has the flexibility of unlimited custom pay rates, which supports Jackrabbit Departments. If you know you will be using Express Payroll, please make sure you follow the Express Payroll set-up instructions in the Export Settings topic. 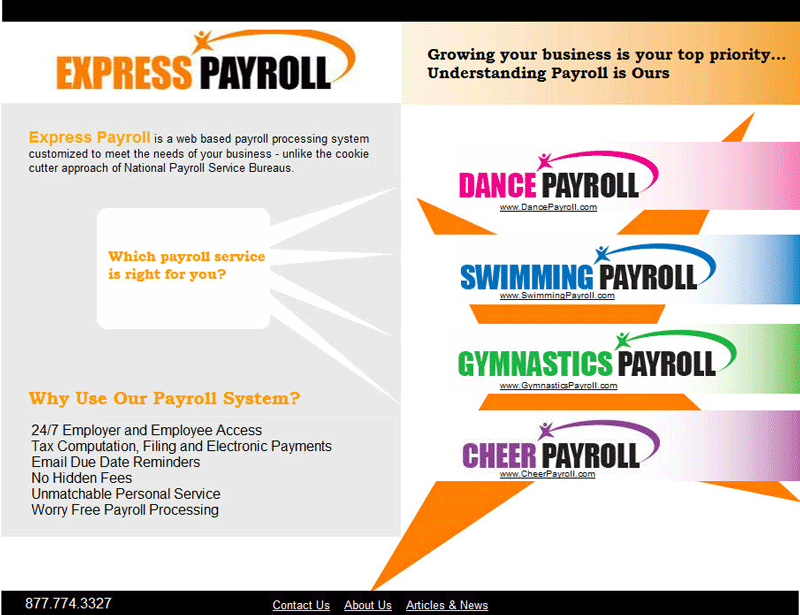 For more information, see the Express Payroll website at www.express-payroll.com.